Virtually no patient comes to the office requesting a long scar. In fact, this is the major draw back to abdominoplasty (tummy tuck) surgery for most patients. Although the scar cannot be eliminated with this operation, Dr. Jejurikar’s goal is to place it in as cosmetically acceptable position as possible. He asks his patients to wear either a bathing suit bottom or an undergarment they would like to be able to wear after surgery, and makes every attempt to design the incision to fall in this location. In addition, he attempts to close the scar as meticulously as possible, leading to as fine a scar as possible. Even with this, in some cases, the scars heal thicker and wider than desired. In these cases, topical medications or corticosteroid injections may be needed to improve the scar. In rare cases, a scar revision in which the scar is excised is required. In some patients, scarring must be treated aggressively for several months to 2 years after the procedure. 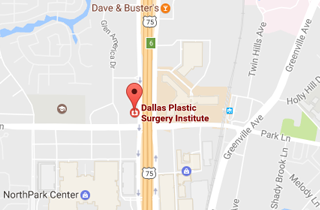 Should you have any questions regarding abdominoplasty, the location of the incisions, or scarring, please do not hesitate to contact Dr. Jejurikar at 214-827-2814.